Hidalgo County’s political parties ushered in new leadership Monday night, swearing in the two women who will take the helm of their respective parties. Norma Ramirez was sworn in as chairwoman of the local Democratic Party and Adrienne Peña-Garza as the same position for the local Republican Party, becoming the first woman to assume that role. They will serve through 2020. On both of their minds is the November general election, in which Texans will elect a governor and U.S. senator, among a host of state and local positions. Born in Oklahoma cotton fields to migrant farmworkers from the Rio Grande Valley, Ramirez told those assembled before her Monday in commissioners court chambers that she never imagined that someone like her, from such humble beginnings, would assume this position. 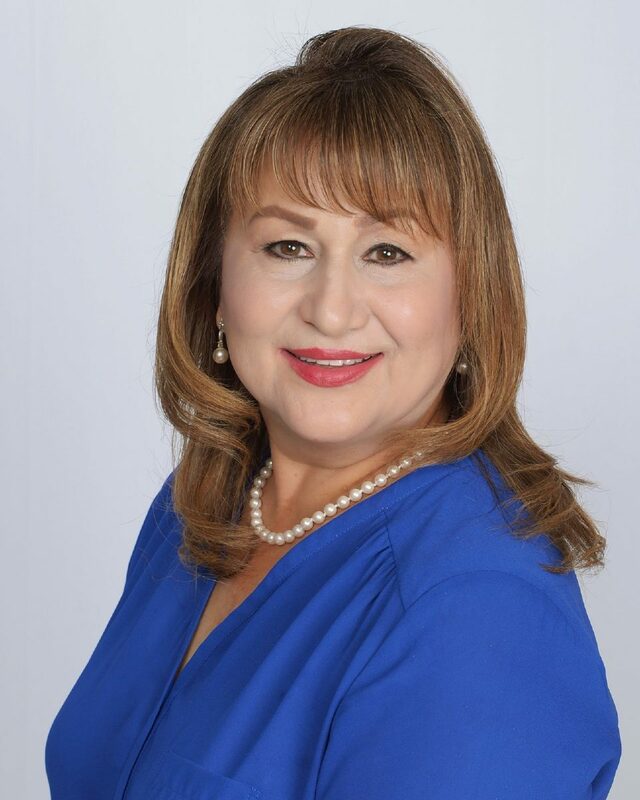 The 56-year-old lifelong Edinburg resident and local businesswoman first joined the Hidalgo County Democratic Party about five years ago, after being invited to attend a party meeting by a friend. “I actually still think that it’s like a dream or it’s not really happening. I’m just in disbelief that I could get this far,” Ramirez said of rising up the party ranks in such a short time. She was sworn in by Judge Israel Ramon Jr., at an event attended by a handful of state district judges. A former Democratic Party precinct chair, Ramirez who described herself as a “very quiet and not an outspoken chair,” said she looked at how the party was being run and was motivated to run as chairwoman to help give the approximately 70 chairs more direction. In the short-term, her goal is to increase voter turnout in November by getting more voters registered, and in the long-term, she wants to have a financially-sound party. The only way Hidalgo County can remain a Democratic stronghold, she said, is by increasing turnout, which is also essential for putting the county on the political map. Outgoing Hidalgo County GOP Chairman Sergio Sanchez described Peña-Garza as a “great leader” who will ease the party to victory and growth. Peña-Garza thanked her family, including her husband, former Pharr commissioner Aquiles “Jimmy” Garza, whom she appointed finance chair for the party, and her father, former Texas State Rep. Aaron Peña. Texas Supreme Court Justice Eva Martinez Guzman was slated to swear in Peña- Garza, but a scheduling conflict with the state’s Republican party prevented her from attending. Martinez Guzman, however, sent a video to congratulate and cheer her on as the county’s first Republican chairwoman, and Ernie Aliseda, a McAllen Municipal Court judge running for the 13th Court of Appeals, stepped in and guided Peña-Garza through the ceremony. Active within her party, the 39-year-old has served in several political capacities, including as a two-term national committeewoman for the Texas Young Republican Federation and as the current President Emeritus of the Hidalgo County Young Republicans. She’s also been active in helping a number of prominent Texas Republicans get elected, including Gov. Greg Abbott, Lt. Gov. Dan Patrick and U.S. Sen. Ted Cruz. She hopes to triple the number of Republican precinct chairs and get more Hispanics involved in the party.